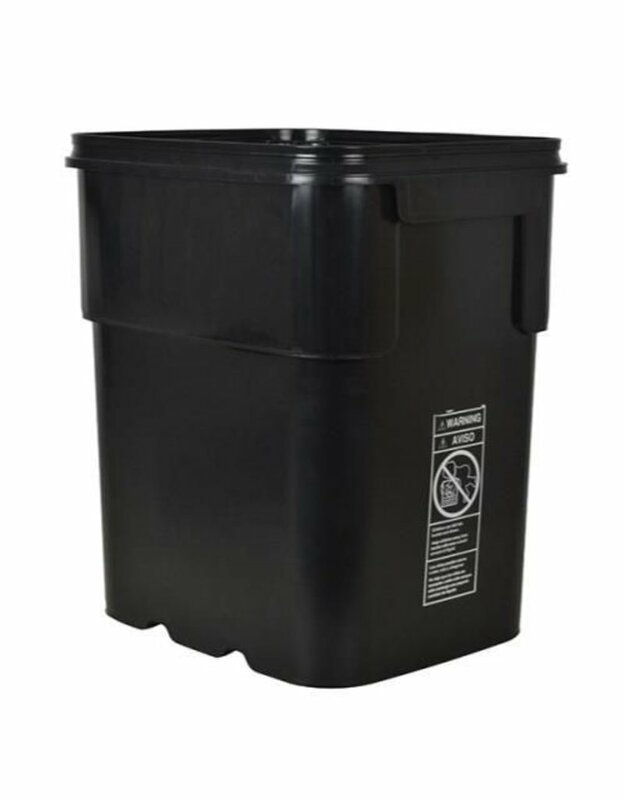 Heavy-duty EZ Stor™ containers/buckets are rectangular in shape and are made with virgin, high-density polyethylene material. 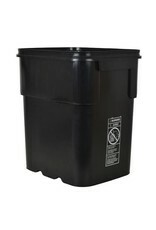 These patented containers have no holes in them and can hold up to 8 or 13 gallons of liquid. They work well for mixing solutions or for building your own mega hydroponic system. EZ Stor™ containers are nestable, with built-in hand grips, making them easily transported. The lid is compatible with both sizes. It has a recessed fit with a tear strip and a built-in handle on the front portion of the hinged lid, creating easy access without removing the lid.